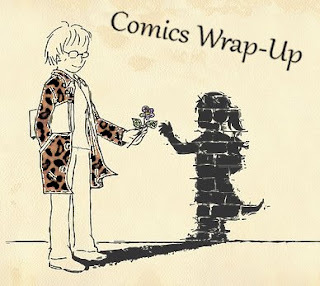 Comics Wrap-Up is going on break for Christmas (because clearly I need one!) and will be back on 11th January 2018! Hope you have a comics-ful Christmas too, Cee! I hope you have a few good books/comics to enjoy. Perhaps Santa will bring you something? I think Father Christmas is reduced to getting me clothes this year! Though I'm not complaining, I really need clothes!